Sparking new ideas and conversations at the intersection of work and life! As the close of 2017 approaches, it’s a great time to pause and reflect on what we learned, who impacted us and to share gratitude to those who helped along the way. Check out my blog for a simple framework to harness the power of reflecting. 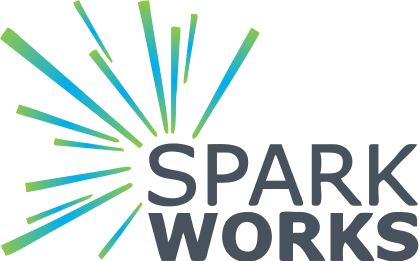 I was “sparked” to write this blog after Will’s school principal shared a story about his curiosity. Curiosity is the key to creative thinking but why don’t we encourage it more? What holds us back? How can overcome it? Check out my blog to discover the ABCs of creative thinking!!! Writing has always been a HUGE fear of mine, which was a result of negative experiences in grade school. This negative experience prevented me from achieving my goal of writing. Check out my latest blog where I share what was holding me back, what forced me to change and how that helped me to identify my 5 WHYs of Writing! I was having a difficult time moving past a traumatic event in my life until I viewed it as a hurdle to overcome. I then put in place the practices that champion hurdlers use. Check out my latest blog on how you can apply these techniques to your own hurdles – big or small!! In light of the upcoming Women’s March, I reflected on the women in my life that lift me up, make me stronger and give me hope. My source of Girl Power. Check out my reflection that shares short summaries of these powerful women and what I learned from each of them. Go Girl Power! New Year’s Day and Goals – Perfect Together! Top performers in all fields set goals. Setting goals that support your ultimate mission help you lead a purpose-driven life and be the best YOU can be. The best time to do this is the start of the New Year! Check out my blog and discover a simple framework to define goals that are aligned with your mission in life! There is significant research on the value of developing deep friendships for well-being, happiness and improved self-confidence. The same benefits can be realized with work friendships. However, developing these deep friendships at work can be difficult to establish. Check out my blog to find and develop your work BFF!